Hepatitis B virus (HBV) causes hepatitis B, an infectious disease that afflicts 230 million people worldwide, thereof 440 000 in Germany. 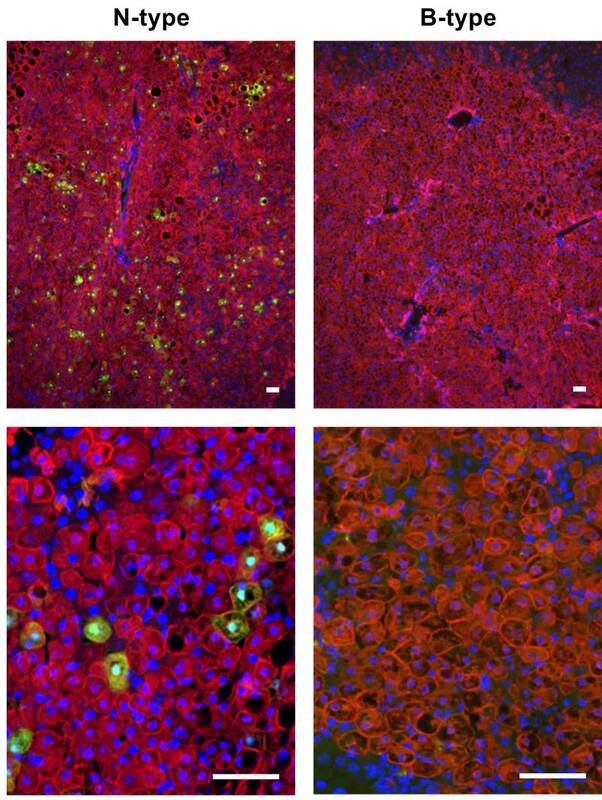 Persistence of the virus in liver cells leads to progressive organ damage in the patient and contributes to a high risk of cirrhosis and liver cancer development. 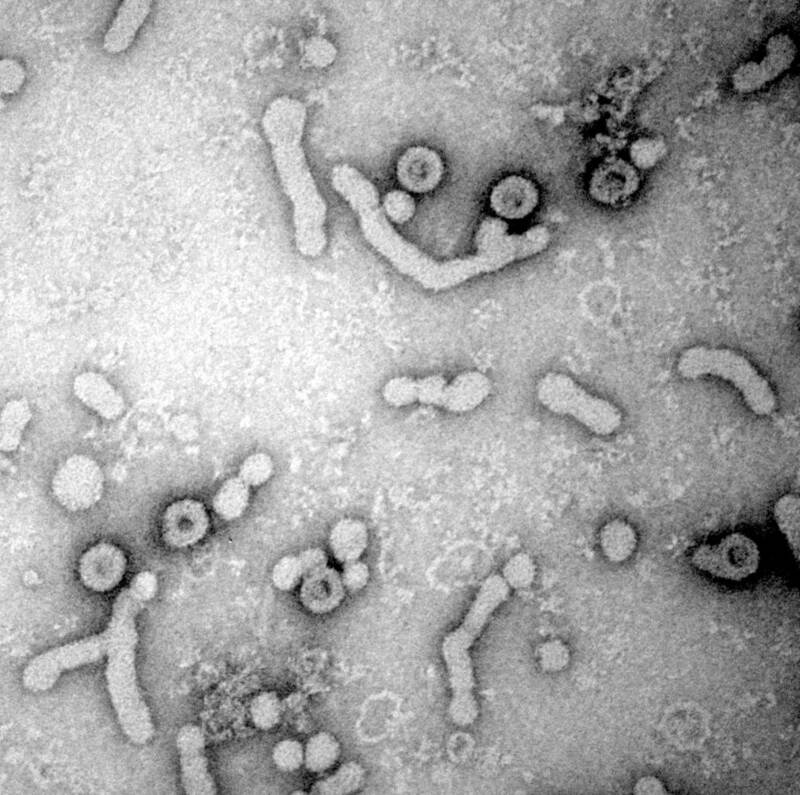 Providing a new paradigm to hepatitis B understanding, researchers at the German Cancer Research Center (DKFZ) in Heidelberg, Germany, and Department of Infectious Diseases, Molecular Virology, Heidelberg University Hospital have now uncovered a novel maturation mechanism employed by HBV to improve its infection success. Their findings are reported in the newest issue of Cell Host &amp; Microbe. Caption: HBV (green) in liver cells (red) Only virions of the N-Type (left) are able to infect liver cells, HBV of the B-type (right) are not. The German Cancer Research Center (Deutsches Krebsforschungszentrum, DKFZ) with its more than 3,000 employees is the largest biomedical research institute in Germany. At DKFZ, more than 1,000 scientists investigate how cancer develops, identify cancer risk factors and endeavor to find new strategies to prevent people from getting cancer. They develop novel approaches to make tumor diagnosis more precise and treatment of cancer patients more successful. The staff of the Cancer Information Service (KID) offers information about the widespread disease of cancer for patients, their families, and the general public. Jointly with Heidelberg University Hospital, DKFZ has established the National Center for Tumor Diseases (NCT) Heidelberg, where promising approaches from cancer research are translated into the clinic. In the German Consortium for Translational Cancer Research (DKTK), one of six German Centers for Health Research, DKFZ maintains translational centers at seven university partnering sites. Combining excellent university hospitals with high-profile research at a Helmholtz Center is an important contribution to improving the chances of cancer patients. DKFZ is a member of the Helmholtz Association of National Research Centers, with ninety percent of its funding coming from the German Federal Ministry of Education and Research and the remaining ten percent from the State of Baden-Württemberg.